What does it mean to truly live well? If you had asked me this question almost three years ago, I would’ve said (probably after giving a big eye roll because duh doesn’t everyone know?) eating “clean” and exercising. A lot. And let me tell you, I was the spitting image of that idealized, simplified, surface-level version of wellness at that time. I worked out two hours every day, I lived off of salad, I was thin as could be. I looked the part to a T.
But here’s the thing. The more I worked out and the “cleaner” I ate, the more times I said “no” to a glass of wine or staying out late with friends, the longer my workouts lasted and the less rest days I took, the less well I actually became. I went from extremely unwell, mind, body and soul, to the most well I have ever been in my entire life. I now live each day with gratitude in my heart, I see the world through a positive lens, I feel confident and happy and strong, I know my purpose in life. I finally understand that food and fitness are only two small parts of living well. 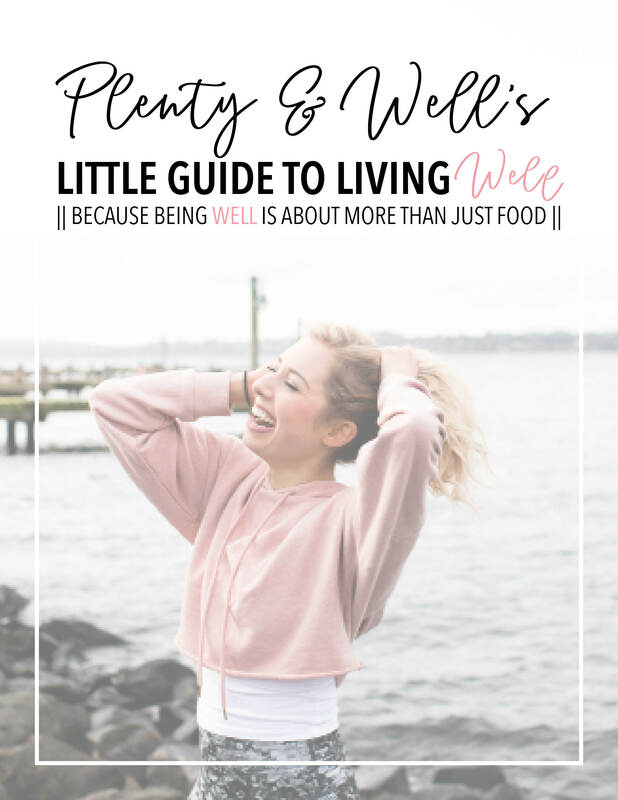 And throughout the last few years I’ve really worked to formulate my own vision of wellness, real wellness, and have been able to grow into the wellness guru that I am today. If you’ve ever felt unsure of how to truly live well, I’m here to help. Learn from my mistakes and rock bottom, so you don’t have to drop that far (but hey, if you have, I’ve gotchoo and I’ll pull you right back up). I’m going to be here to be your biggest advocate and cheerleader, that voice of reason and boost of confidence that you need, the sounding board and confidant you’ve been searching for. I have the tools, the experiences, the knowledge and the passion needed to help YOU start living the life you were meant to live. With a daily video from me, action items and journal prompts, inspirational quotes and external resources, each day focusing on a different sector of TRUE wellness, you’ll leave the week feeling refreshed and having a broader understanding of and appreciation for real wellness. If you're ready to take the leap and dip your toes into what it means to live TRULY well beyond just food and fitness, then this course is for you! PLUS this course has no official start and end date and never expires!